Philadelphia and its largest public labor union have signed a four year labor contract that guarantees increased wages and better pensions for municipal workers. 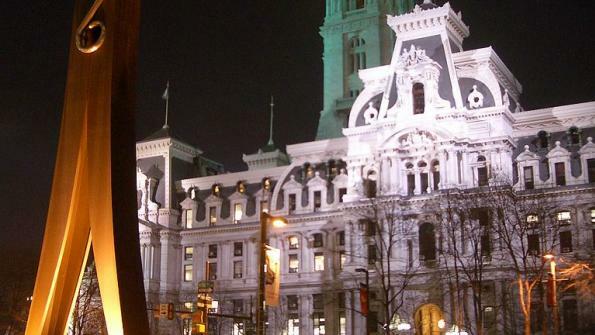 Philadelphia and its largest public labor union recently signed a four year labor contract that guarantees increased wages and better pensions for municipal workers. The new contract, which was signed on July 15, was negotiated between the city and the AFSCME District Council 33, according to NewsWorks. The union represents over 7,000 municipal employees and includes streets, sanitation and other municipal sectors. The contract will give city workers three percent increases in 2016, 2017 and 2019 as well as a 2.5 percent increase in 2018, PhillyVoice reports. The prior contract expired on June 30, while the new contract will last until June 30, 2020. "With the average wage increases for state and local workers around the country averaging less than 1%, we were able to secure a wage package compounded at 12% over four years," AFSCME District Council 33 President Pete Matthews said in a statement. The contract also includes a tiered pension plan, which will require better-paid workers to contribute more to the fund, Philly.com reports. As part of the plan, employees earning over $45,000 per year will pay between 0.5 and 3 percent more towards their pensions depending on their salary bracket. The average District Council 33 employee’s salary is $38,000, according to NewsWorks. Under the contract’s rules, Philadelphia will also contribute $10 million to the union health fund upon the contract’s ratification, and $10 million on July 1, 2017, PhillyVoice reports. "It's our most basic responsibility to pay the people who clean our streets and help our children get to school safely,” Mayor Kenney’s spokeswoman Lauren Hitt told Philly.com. “We will work in our other expenses around that."